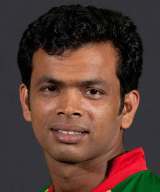 Abdur Razzak was born 15 June 1982 in Khulna. He is a Bangladeshi cricketer. He made his first-class debut at Bangladeshi domestic level for Khulna Division in the 2001/02 season. Best known for being a tall left-arm orthodox spin bowler, he helped guide his division to the National Cricket Title in his maiden season. 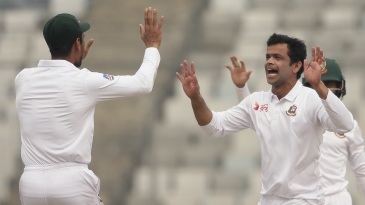 From there he was selected for Bangladesh A (training team for the full national squad) performing well against Zimbabwe A, including the excellent figures of 7 for 17 in one game in Dhaka. The latest in Bangladesh's seemingly never-ending supply of left-arm spinners, Abdur Razzaq made his mark when he helped unheralded Khulna to their first-ever National Cricket League title in 2001-02. Tall, with a high action, he was also instrumental in Victoria Sporting Club's surprise triumph in the 2002-03 Dhaka Premier Division. Find Abdur Razzak profile and stats of batting, bowling and fielding including latest updated news of Abdur Razzak, videos and images at Hamariweb.com. Also find detail Player profile and career statistics of Abdur Razzak of Bangladesh. Abdur Razzak - Find Abdur Razzak of Bangladesh Cricket Team complete player profile, number of matches, runs score, wickets & catches, Statistics, Records, Abdur Razzak Latest News, Abdur Razzak Videos, Abdur Razzak Photos, and other Abdur Razzak Cricket Team players.